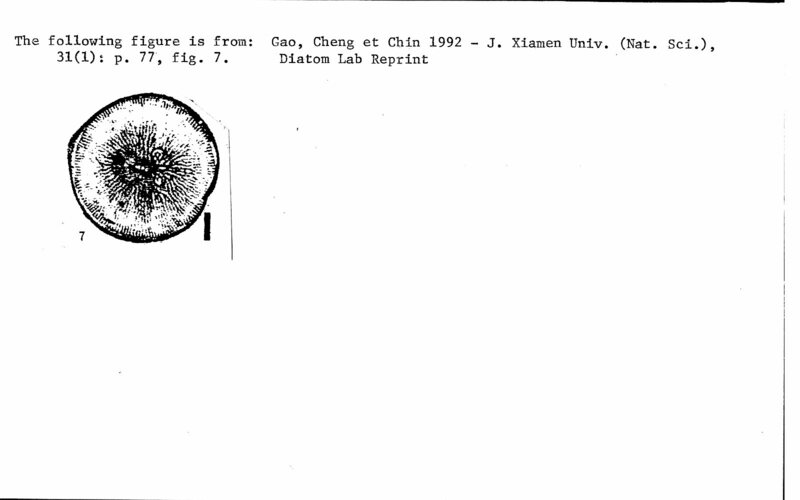 "Gao, Y. and Cheng, Z. 1992 . A new species and two new varieties of Thalassiosira. 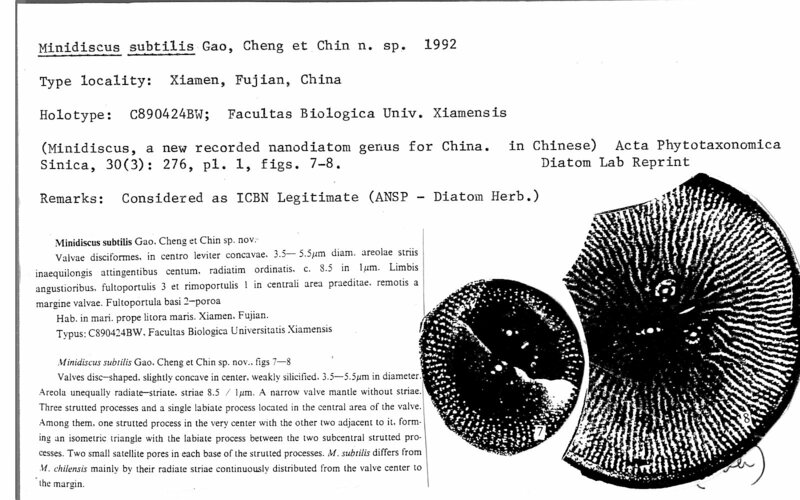 Journal of Xiamen University (Natural Science) 31(3):291-294."